You’ve designed a street, surf, and skate collection … Now what? The streetwear market is one of the most versatile and diverse markets in the US today. This market is keen at collecting sales dollars from both the teen and men’s markets by appealing to the colorful and politically graphic nature of their imaginations. This market largely draws its selling power from people looking for something special or unique in the fashion community, e.g., Hipsters, Punks, Goths and even the Hip Hop community. With a market share of approximately $75 billion dollars (shared with activewear) it is still growing. Starting a streetwear business is more than just putting logos on tees and skull caps. You’ll need to understand the operations of a dynamic fashion industry and how your new streetwear collection will expand and thrive in the future. 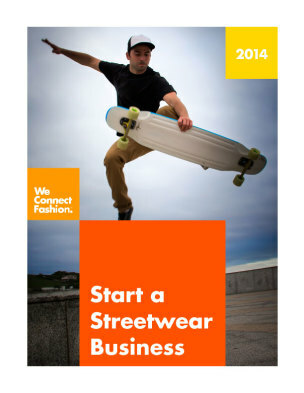 Start an Streetwear Business is built by industry experts who have been there, done that. This PDF publication is designed to help you plan your company, produce your product, promote your brand, and sell to buyers.